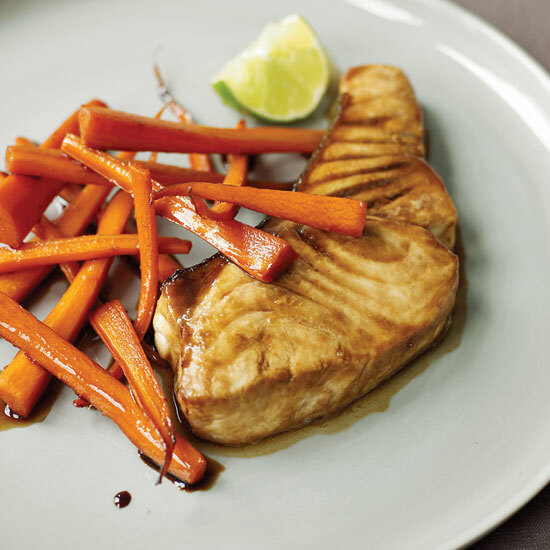 Recipes for healthy living, from white gazpacho to Guinness-glazed halibut. 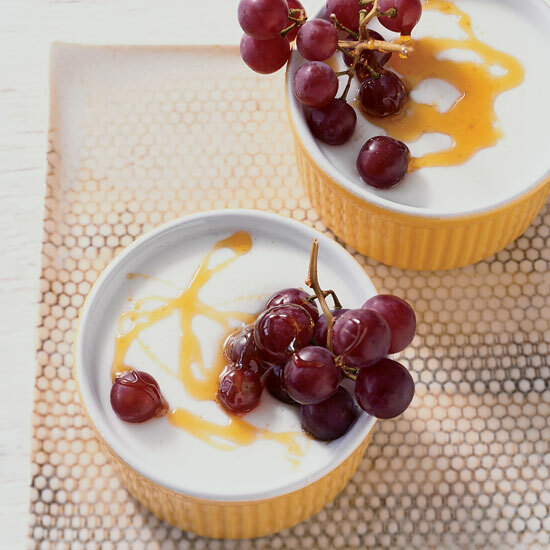 Pastry chef Marisa Churchill uses fat-free yogurt to enrich these honey-topped panna cottas. "People think that fat equals flavor," says Churchill. "That's a common misconception. I think freshness, balance and texture are more essential." "Really spicy salsas give me a 'chile buzz,' almost an endorphin rush, so I tend to eat less," he explains. 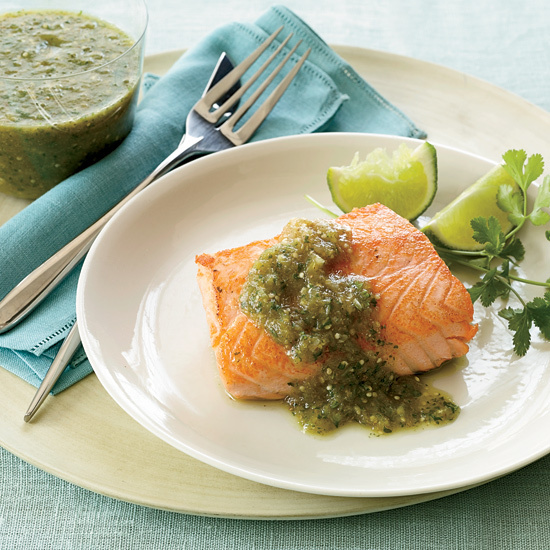 The jalapeño in this tomatillo-based salsa is also good source of vitamin C and can be either mild or fiery (depending on whether you leave in the seeds). 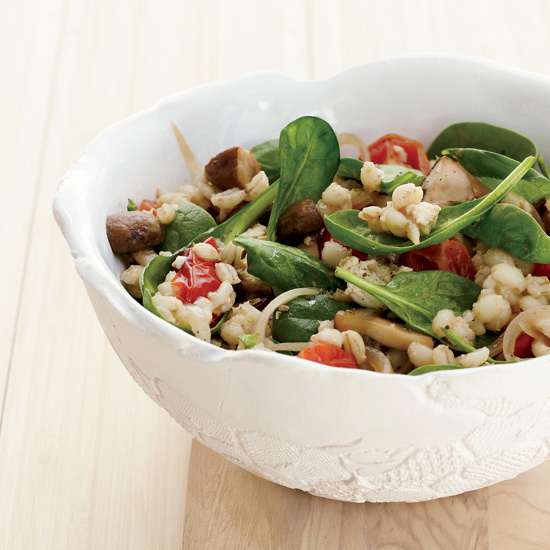 This salad is incredibly satisfying, thanks to the fiber-rich barley Wong tosses with spinach and mushrooms. 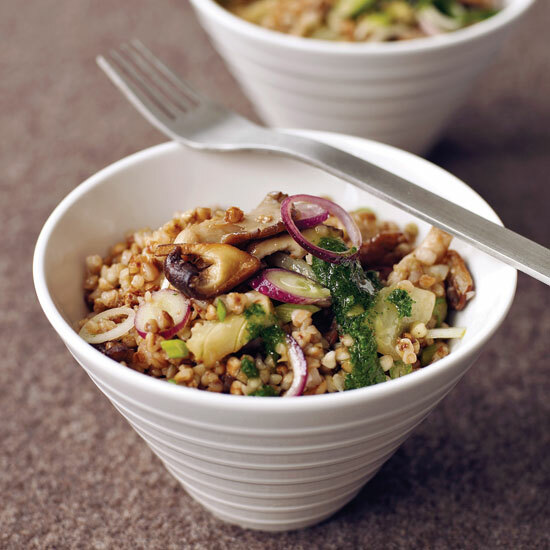 Crumbled firm tofu in the sherry vinegar dressing adds extra protein. 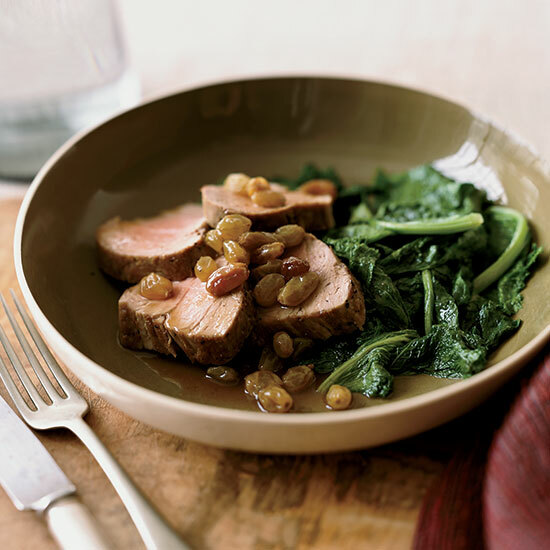 Cookbook author Pam Anderson likes to serve sliced tenderloin—a very lean cut of pork—with a tangy raisin-and-ginger-flavored sauce that tastes much more decadent than it actually is, thanks to a secret ingredient: cornstarch, which gives the sauce body while avoiding added fat. 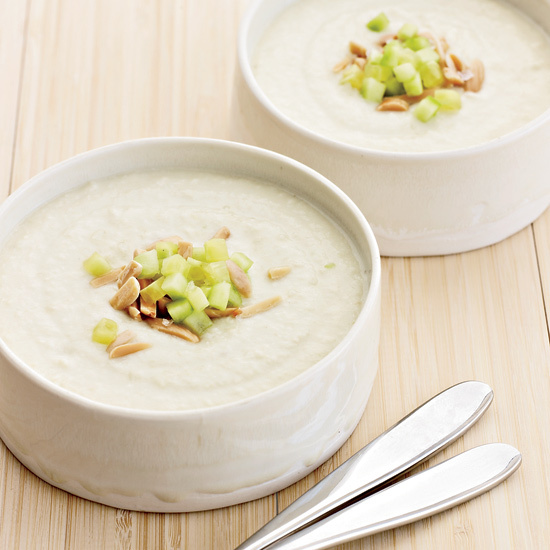 Food critic Joy Manning keeps her tangy white gazpacho completely vegetarian, but it's deceptively creamy: Almonds and cauliflower give the soup a silky texture. Melissa Clark puts a healthy spin on her grandmother's kasha varnishkes—a Jewish dish with buckwheat (kasha) and pasta—by leaving out the pasta and adding mushrooms, fennel and parsley. 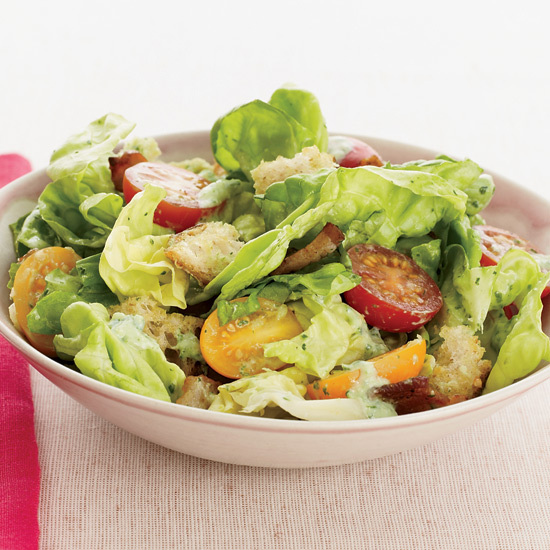 To make this Italian-style salad, Joy Manning tosses cubes of bread with just a little B and lots of healthy L (soft butter lettuce) and T (small yellow and red tomatoes). 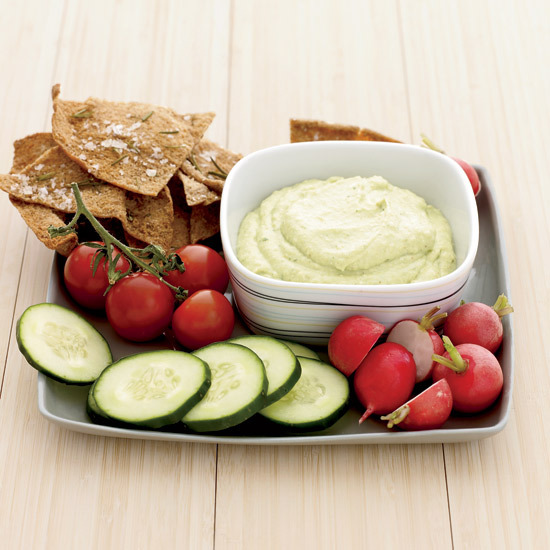 Instead of mayonnaise, she blends the basil-inflected dressing with protein-rich soft tofu. "Guinness has this great molasses flavor that intensifies when you cook it down,"cookbook author Melissa Clark says. "It adds richness to the fish without adding fat." Bravo's Top Chef Season 1 contestant Lee Anne Wong considers tofu key in helping her slim down because it provides lots of protein and folate without too much saturated fat. 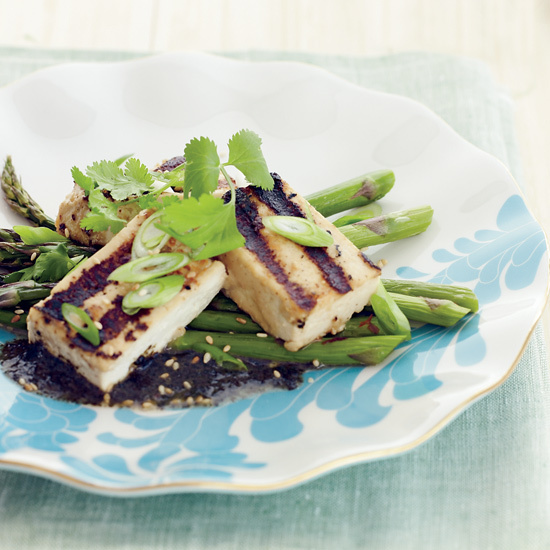 Wong plays with an array of Asian ingredients to create a wonderful marinade for extra-firm tofu or high-fiber tempeh (cakes made from fermented whole soy beans). Tempeh's nutty flavor and grainy texture make it an acquired taste, but Wong loves it here.